The forklift and warehouse equipment manufacturer is planning to do things very differently at the Deutsche Messe, Hannover, from 23 to 27 April, when relationships rather than products will be the focus. There will be no real forklifts on the stand, instead visitors will have the chance to see Cesab trucks, including the soon to be launched M300H hydrostatic truck, via a virtual reality experience. 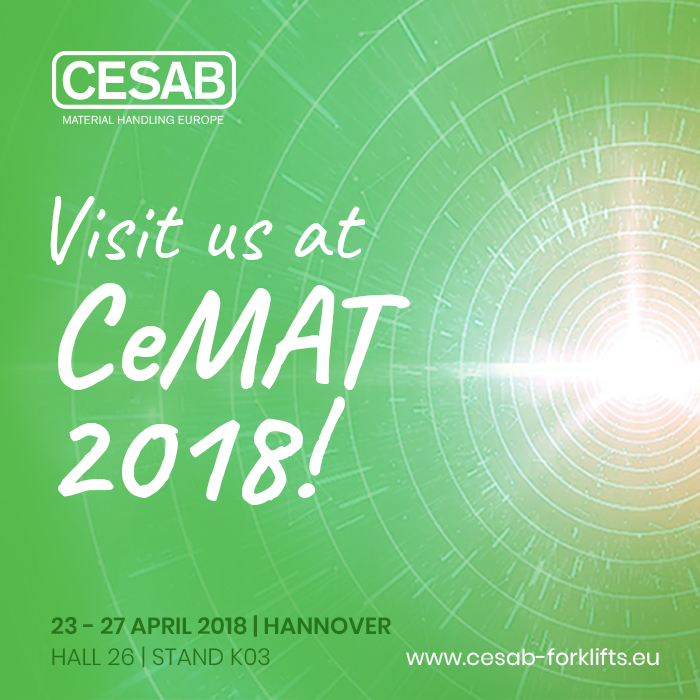 Cesab’s stand (Hall 26, K03) at CeMAT2018 will create a calm environment for visitors to take a break from the rest of the exhibition. People will be able to relax in comfortable seating, enjoy a cup of high quality Italian coffee and learn more about Cesab. Visitors will discover how the company values every single relationship. Cesab will be screening its new company video, which highlights the personal care and attention to detail that Cesab provides to all customers, no matter how small their business or the age of their equipment. Nathalie Arlt, head of marketing, Cesab Material Handling Europe: “We’re really looking forward to this year’s CeMAT, where our visitors will be able to explore the Cesab world from a few different angles. There won’t be a single truck on our stand. Instead people and relationships will be central, and visitors will be able to experience our products through virtual reality. They will have the chance to relax with a great cup of coffee and find out more about the ways we work with our customers.